Like all animals, water is incredibly important to birds. Not only does it keep them hydrated, but a variety of different species bathe in water features to cool down on hot days and to rid themselves of parasites. At Wildlife ACT’s iMfolozi camp we have set up a small bird bath (or water table) for the resident feathered friends to utilise. Here are 5 tips to help you attract birds to your garden by setting up a bird bath. 1. Keep the bird bath low to the ground. Keeping the bird bath close to the ground creates a more natural setting for the birds as most natural sources of water are on the ground. 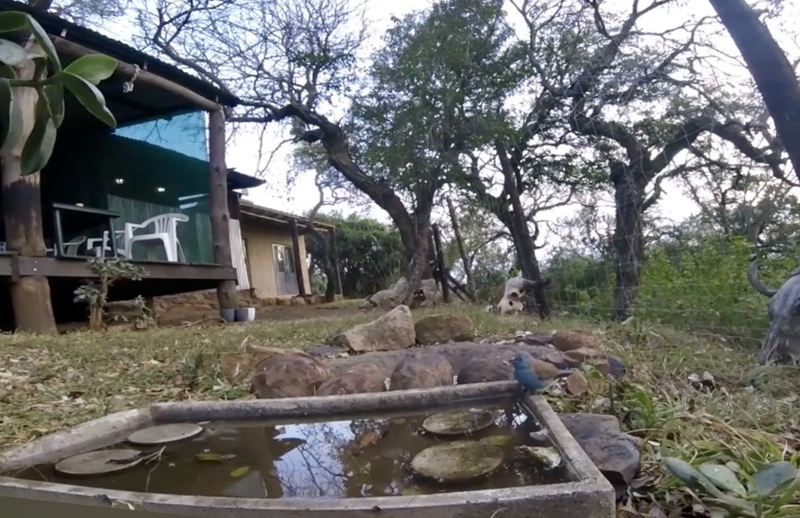 Here, the iMfolozi team has simply re-used an old base for a flower pot for setting up a bird bath and kept it on the ground. We have found that the cleaner we keep the water, the more the birds use the water table. Make sure you maintain your bird bath by rinsing it out every so often to get rid of algae build-up, leaves, feathers and insects (especially mosquito larvae). 3. The water must not be too deep. If the water is too deep, birds will not make use of the water table. Make sure that the water is shallow enough so that the birds can stand in the water and make use of it to bathe as well as to drink. Just like the White-throated Robin Chat in the video above. 4. Make sure there are places to perch and preen close to the bird bath. Perches close by will make the bird bath more “approachable” for secretive woodland birds such as thrushes, warblers, and robins. Birds will use the perch as a place to scan for danger and a place to preen their feathers after bathing. 5. Place the bird bath in a shady spot. Setting up a bird bath in the shade will keep the water cooler than if it is placed in the sun and will also prevent the water from evaporating as quickly. Birds will also prefer shaded areas to areas that are too exposed to the sun. 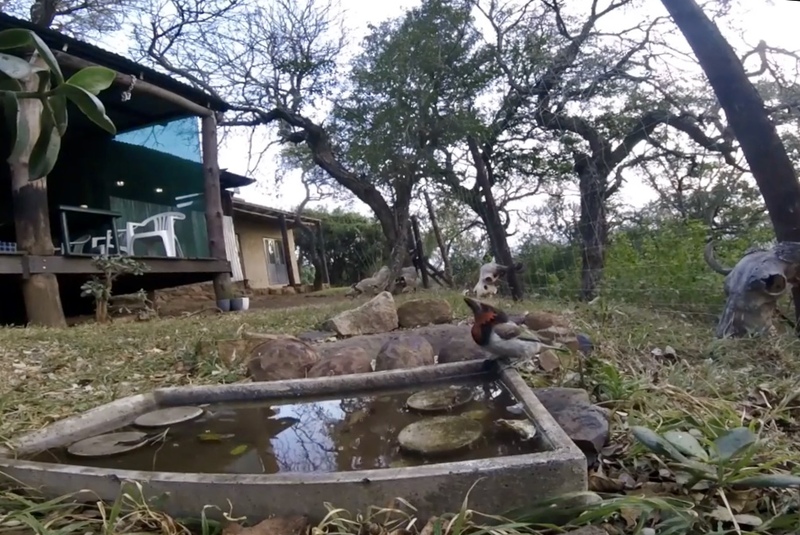 Providing a bird bath for the feathered residents of the iMfolozi Wildlife ACT camp has improved the bird habitat in the garden and has provided volunteers with fantastic opportunities to observe and photograph many different species of birds in camp.